Moritz Böttcher and Sören Henssler founded their Berlin based design studio in 2007. In 2013 the designer Nikolaus Kayser joined the team. 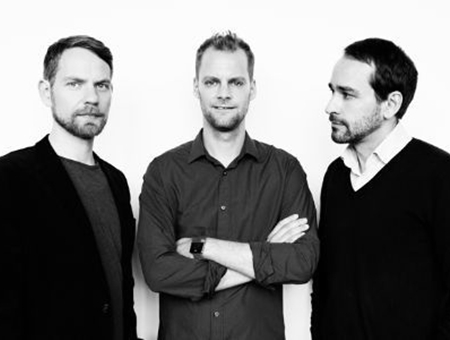 Since 2014 the trio is working under the studio name Böttcher Henssler Kayser in the fields of consumer product, furniture and lighting design with companies such as ANTA, Böwer, Mater, Normann Copenhagen, Scantex, Schönbuch, Vertigo Bird and Zero. The designers were honoured with a number of distinctions like iF and red dot design awards, the prestigious red dot „best of the best“ and the Interior Innovation Award 2015 for their sofa Contour produced by Prostoria.